Me. El Capitan Theatre. A night of beauty, fame and Disney magic. Not even the wicked stepmother herself could have shifted my mood as we walked to what would be one of the most enchanting, exciting and vivid moments of my life. 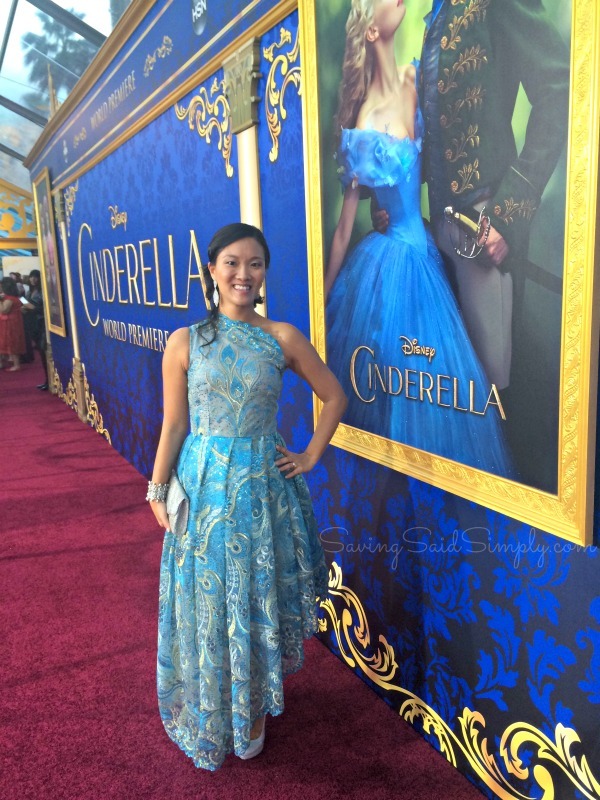 Disney’s Cinderella, my first red carpet premiere was upon me. And after reflecting on one of the most amazing moments in my life, I definitely learned a few things…in fact 10 things on the night of March 1, 2015. There’s a line that you don’t cross. I think this was the biggest surprise for me but in hindsight, it totally makes sense. For some reason, I thought I could just walk out, stand next, and get to be in a celebrity’s red carpet pic. But in fact, it’s entirely NOT true. There’s a huge open space for the celebrities to parade, pose and handshake with the other celebrities. On the other side of the velvet rope, there’s about a few feet of space for the rest of us to squeeze on through. The celebrities can take their time, do interviews, and take selfies. On the other side, we were herded like sheep to keep moving, making sure to take our jaw drops with us. Like little girls in a shoe store, we were giddy with excitement, taking as much of the scenery in as well as our own picture moments. But no matter what side of the carpet you’re on, anyone would have to admit that the atmosphere was enchanting. The cameras, the lights, hundreds of people yelling at stars to turn their way. The Paparazzi were there in full fledged diva mode. 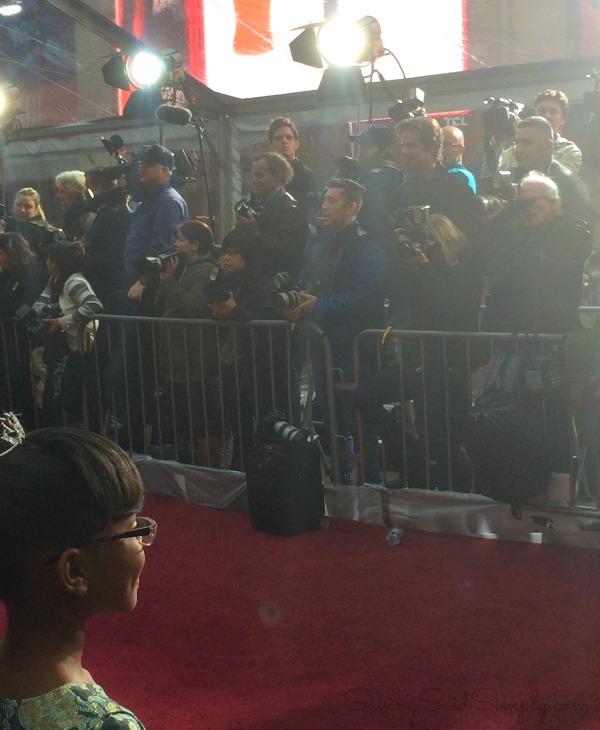 The clicks of those flashes were fast and furious and hundreds of them lined the other side of the red carpet. It was a little daunting to step out on the carpet in front of them, just waiting for you to fall or pick your nose. I definitely felt their intense vibe. I took my time. I smiled. I waved. I selfied. I bent down and touched the carpet (yes, yes I did). And all too soon, the carpet ended. A 5 minute walk at most, the pictures I own now are worth every second on the plush red. Looking for a Cinderella worthy ball? 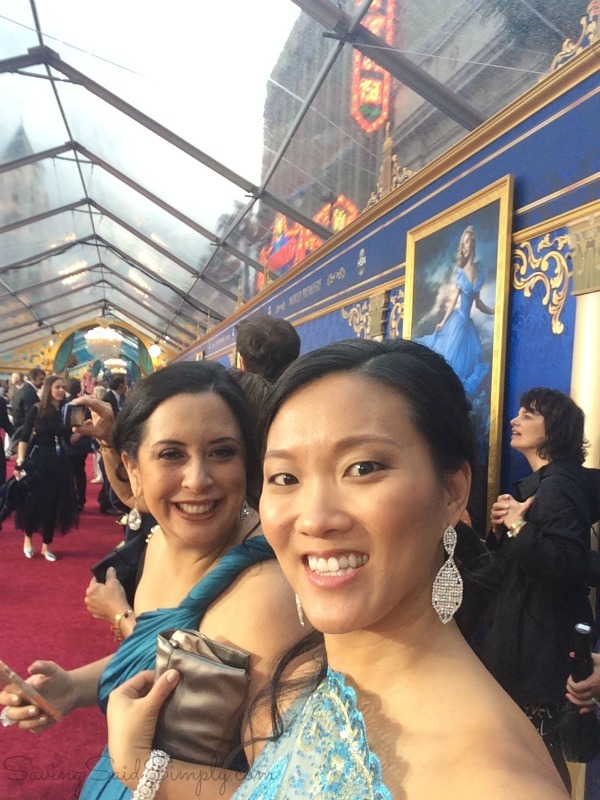 We found it at the Cinderella Movie Premiere! 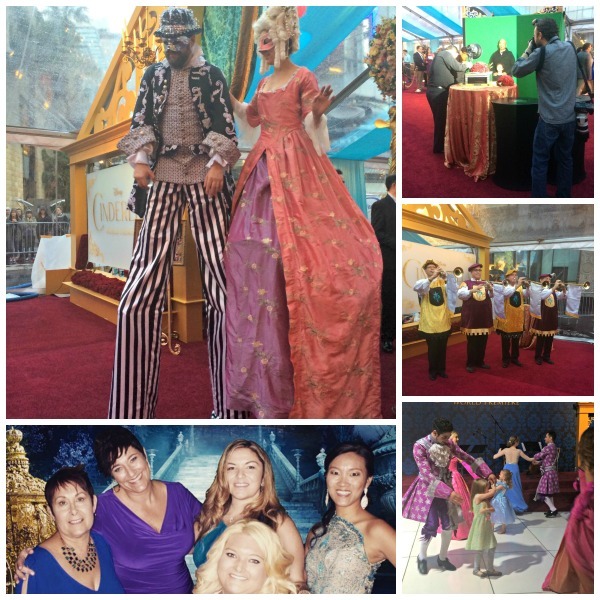 Greeted by horns, people on stilts and a string quartet, Cinderella magic was in the air at our very own Cinderella Reception. And then it got better. 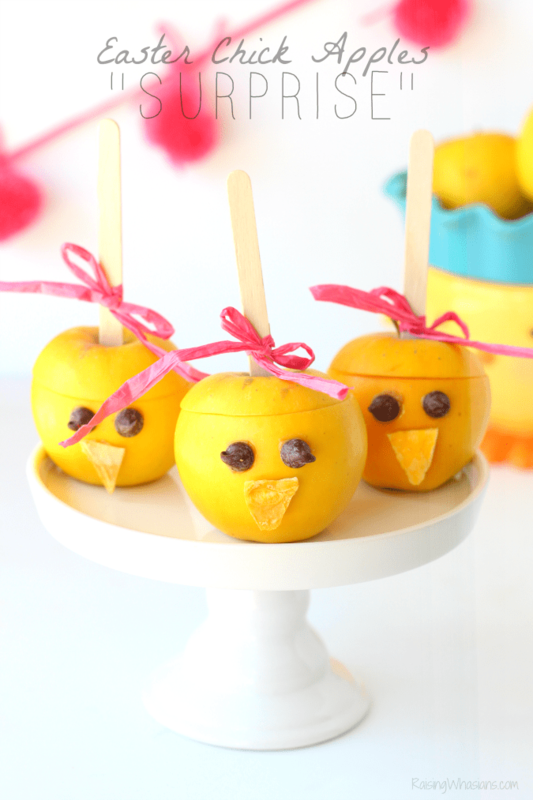 Surrounded by food, photo booths, crafting stations and even a dance floor, it was a little girl’s dream party! And the best part was that the celebrities were freely roaming around with us. Uh, hello Jeremy Sisto! Once the velvet rope was taken down, we were literally standing among celebrities at the reception. So what does one star-struck blogger do? Take secret celebrity stalking pictures, of course! Making sure to pose yourself as to not look completely creepy, I had so much fun checking out some of the amazing stars like Grumpy Cat, Josh Gad, Jason Priestly and more. By the end of the night, I think I definitely mastered the art of secret celebrity stalking. 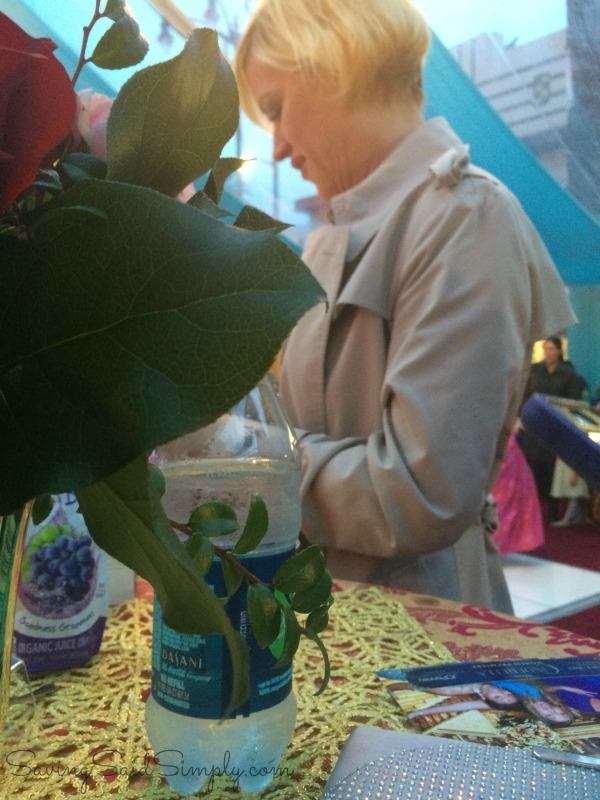 Did I tell you about the time that Molly Ringwald stood at our table and talked to us? A mom trying to keep up with her kid, Molly was relieved to just plop her daughter’s juice box and assortment of nail polishes, while chatting about motherhood. 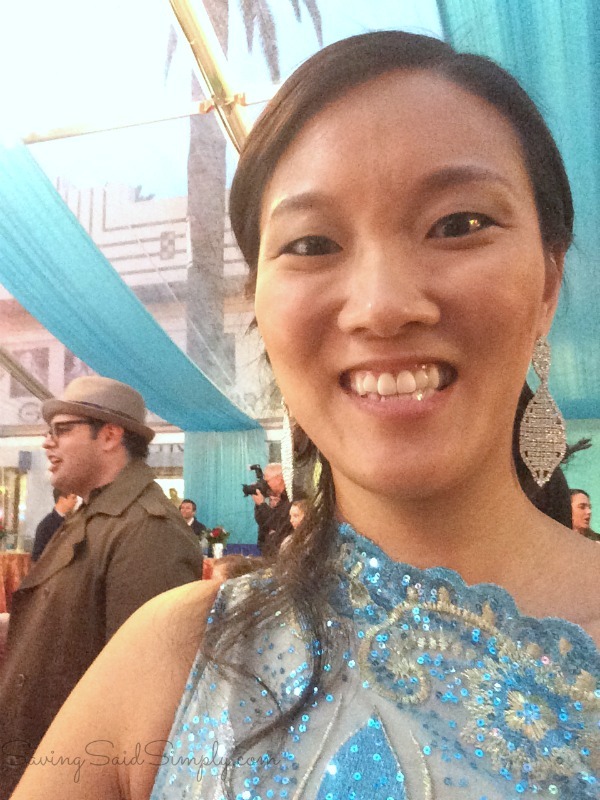 She was so real and in the moment, and we had quite a few awestruck bloggers at our table. Celebrities that night were doing the exact same things we were doing. Taking selfies, making crafts with their kids, having a funny conversation, trying to take a picture with a famous person, it was in freely mingling with celebrities from my childhood that I realized how much they are just people enjoying a night too. Painting nails, holding juice boxes, taking video of their girls dancing on stage, I was in awe of how much these famous faces just wanted to capture the same moment I did with their kids. Covered in double sided tape (and a rash later that I would pay for). Pinched into 4 inch high heels. Diaphragm squeezed into my dress. In the rain, uphill. Freezing. There were moments when I definitely laughed at my over the top wardrobe choices for this event, wondering if I was being too vain. For one night, I represented Disney. I represented my amazing designer and friend. I represented my blog and how far I have come. But most importantly, I got to represent myself. I was not just “Christie from Orlando, Florida” that night. I was one of the few people with tickets to the most regal premiere on the planet. 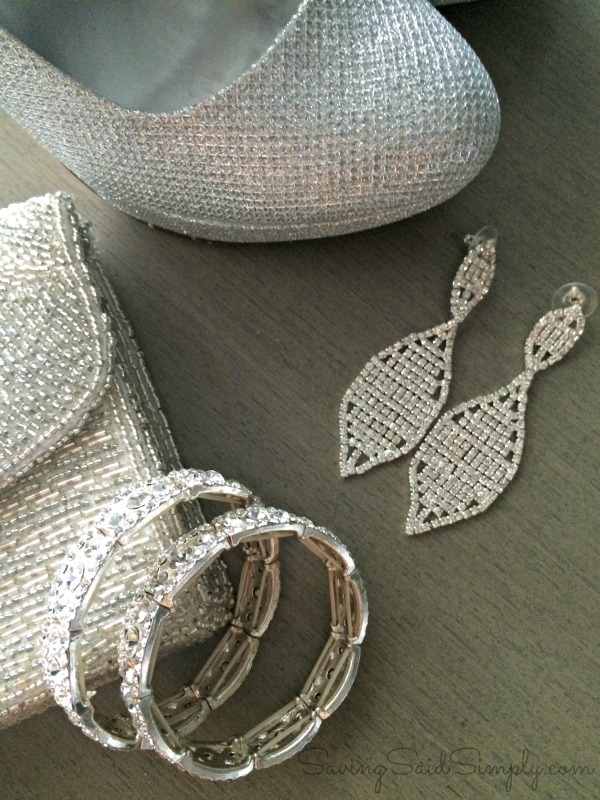 Don’t forget to check out my JCPenney Glam Ball, where I was pampered and beautified for this event! It’s so easy to get lost in the everyday. I’m a mom, a wife, a friend. But rarely is my first thought ever that I’m beautiful. But there in My Red Carpet Moment, I 100% felt amazing. And it was OK to feel this way. It’s ok to hold my head up high, to swish my custom-made Lall Dass dress, and to smile a genuine “I-can’t-believe-that-I’m-here” smile. A Cinderella in her 5 minutes of fame, I can honestly say that I felt Beautiful that night. And everyone should be able to have moments like these in their lives. Don’t worry, I won’t let it get to my head. 10. And As The Famous Phrase Goes…. 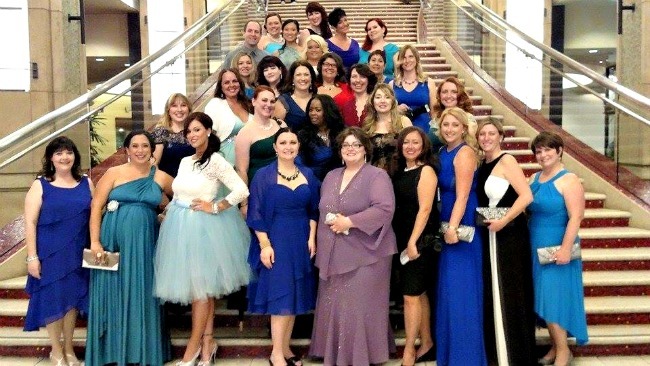 A highlight of my blogging career, my Cinderella moment was definitely that night. An invitation to a place of royalty, the awe on my face, stars coming up to ME to talk to me, hanging with 24 other amazing ladies feeling the exact same way, it was absolutely unreal. It will be a memory I share with my kids and grand kids, elaborate on to the nth degree, and have to remind myself that the night really did happen. What a night! 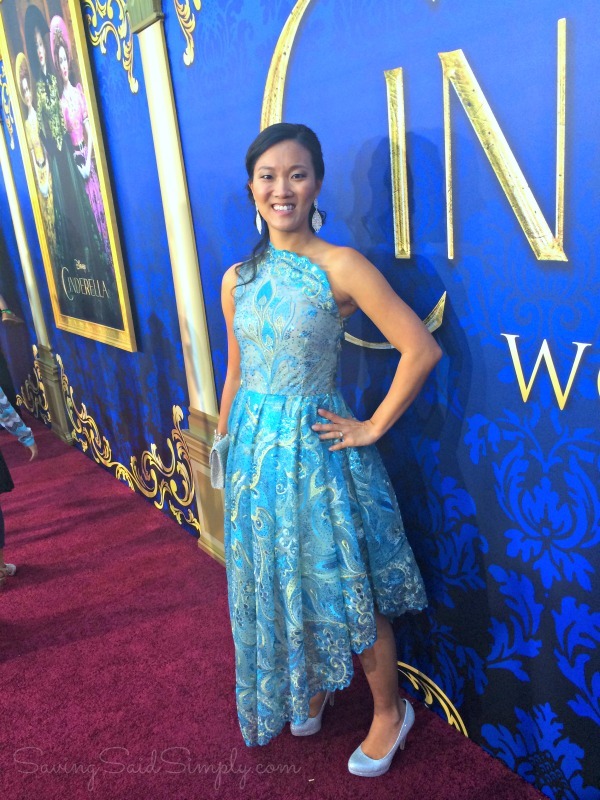 My Cinderella Red Carpet Premiere could not have gone more flawlessly. The pictures, the dress, the conversation, the atmosphere, and yes, even the blisters, I have tears in my eyes as I write. I am just so fortunate to have my one Cinderella spotlight on Sunday, March 1, 2015. And I’m so thankful that I get to keep my glass slippers too. 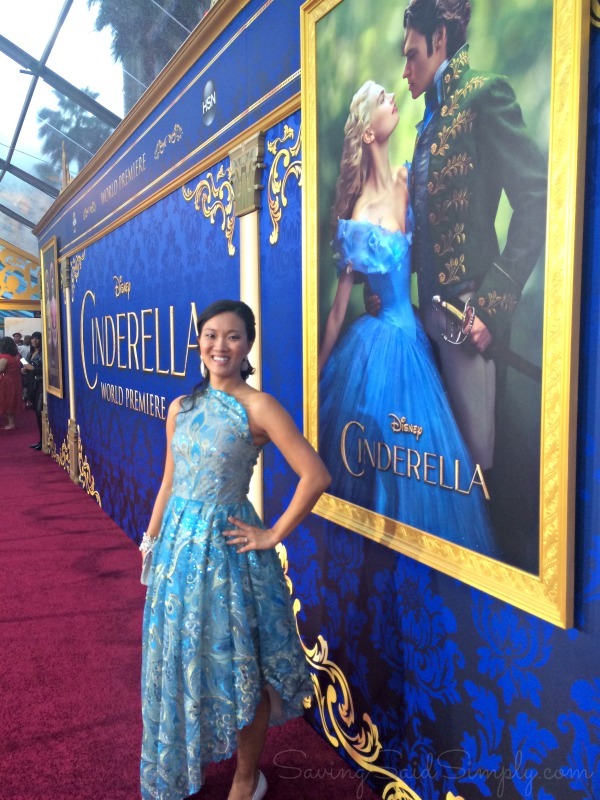 I hope you will get to have your own Cinderella Moment on March 13, 2015, when Disney’s Cinderella opens in theaters! Disclosure ~ I attended an all-inclusive Disney media trip in exchange for this posting. All opinions are 100% my own. Sounds like a great event. Glad you had fun. What an awesome experience! I’m glad you had so much fun! Your dress is gorgeous! Glad you had a great time at the event! That sounds like such an awesome experience. It looks like you had a fun time. What memories you have. You look so stunning. Oh, my gosh! Your dress turned out so beautifully. What an awesome event for some awesome women (and everyone else)! I recognize some of the pictures of people from other blogs. We are looking forward to seeing the new Cinderella movie soon. You truly had a night fit for a princess. I can’t imagine Cinderella made it through the ball without a few blisters either. I hope there are many more red carpets in your future. You fit right in! 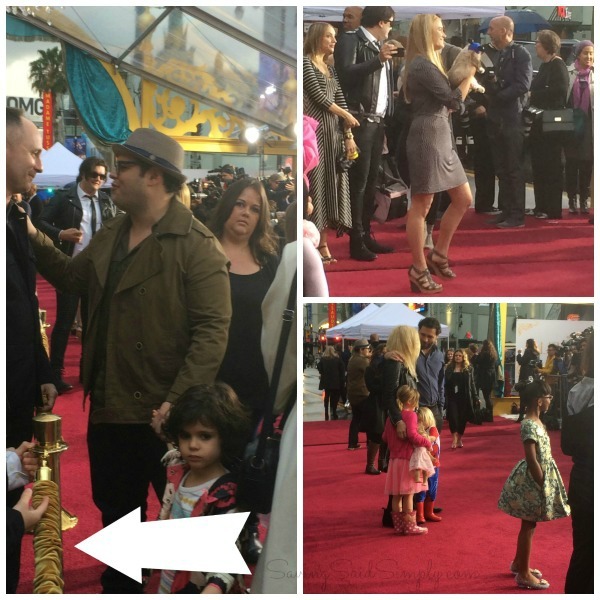 How fun that you got to walk the red carpet. You looked great in your dress. Wow how awesome! You also looked amazing your dress was beyond words gorgeous! What an amazing experience! I still can’t get over how gorgeous your dress is! I’m so jealous! I hope you had a fabulous time! I didn’t realize that you guys had to stay in a roped in area! I bet aside from things such as that, it was a blast! Oh my goodness, you looked so darn pretty! I love those shoes, the earrings, and that gorgeous dress! Thank you for giving me a vicarious view of your night! You looked like a princess!!! Sounds like you had an awesome time!! That’s YOU! on the red carpet!!! Looking like a million bucks! 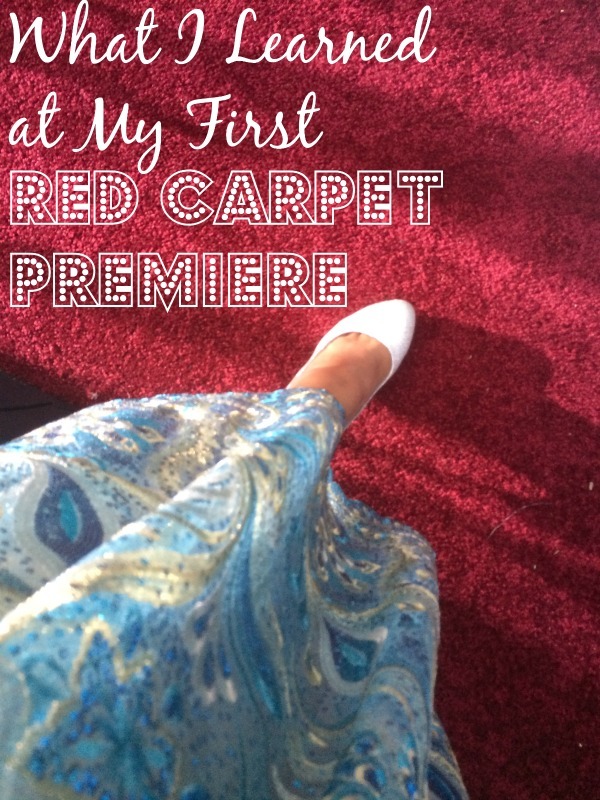 How exciting, I have never been to a red carpet premier, it is on my bucket list! I want to go to the oscars! You know whats funny? I have actually been to quite a few red carpets in Atlanta…some are big some are small. I love it and I am reading your points and loving all of yours. Especially about Celebs are regular people too…omg you were mingling with Molly Ringwald?? I love love love her and happy she was down to earth! I really hope one day I can attend a great media event like this one! Great post! WOW you look stunning. I wish I went to the red carpet premiere of Cinderella.